It was truly an astonishing experience to be part of the Berlin Graphic Days #7 exhibition. The event took place in a beautifully run down part of town. It was at the Urban Spree, at Warschauer Straße. 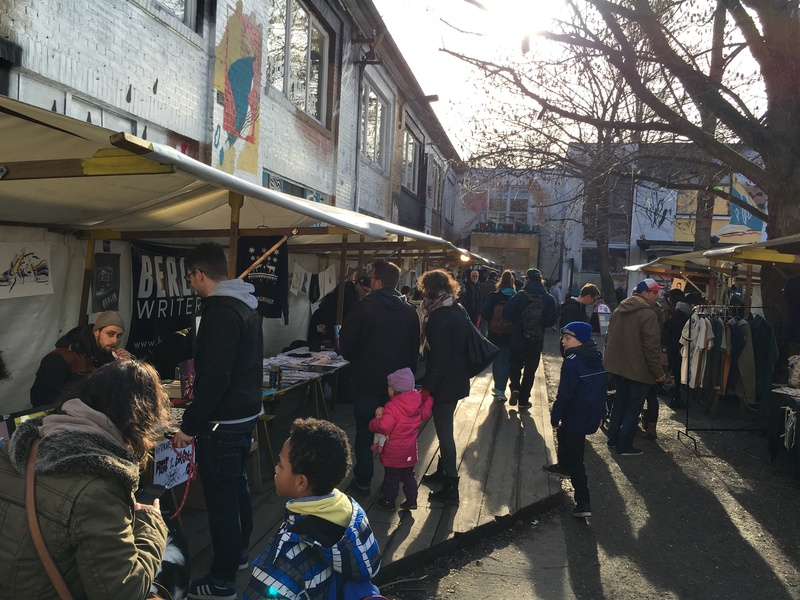 Even though our art stand was outside on this chilly weekend, we were excited to see a great deal of visitors at the event. 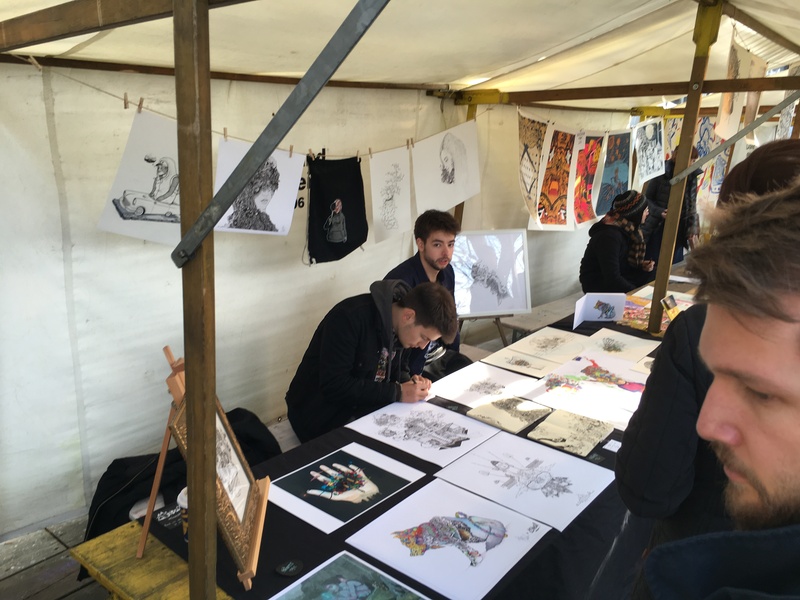 At our stand we displayed our original MindCliff illustrations, as well as some limited prints, and stickers. We also ended up displaying our sketchbooks. Honestly, this was a difficult decision for us because those are our personal idea bases, and there are plenty of hideous sketches, however we wanted to show how we developed over the past couple of years. Because we were there for two days we were able to witness how differently the specators reacted to our illustrations. It felt surreal as we watched their eyes move back and forth around our stand. 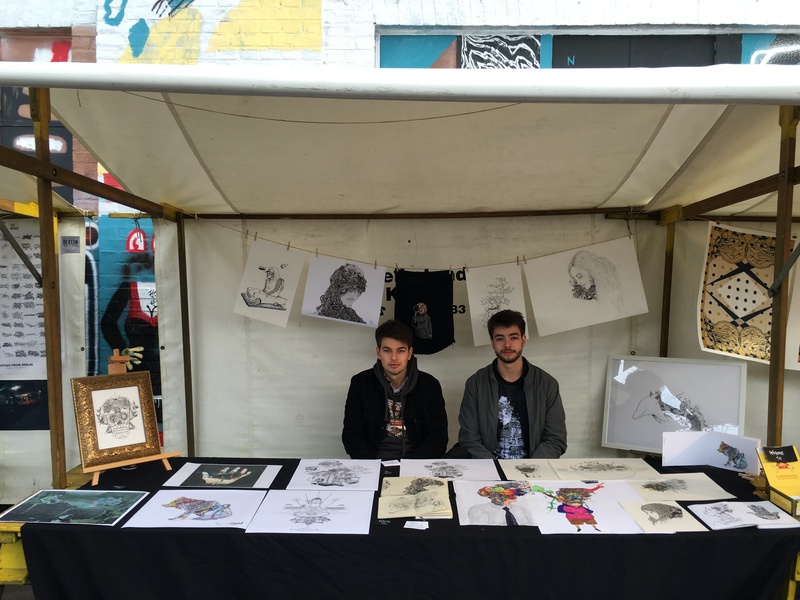 On top of that, we had the privilige to be featured with so many brilliant artists from all around Europe. 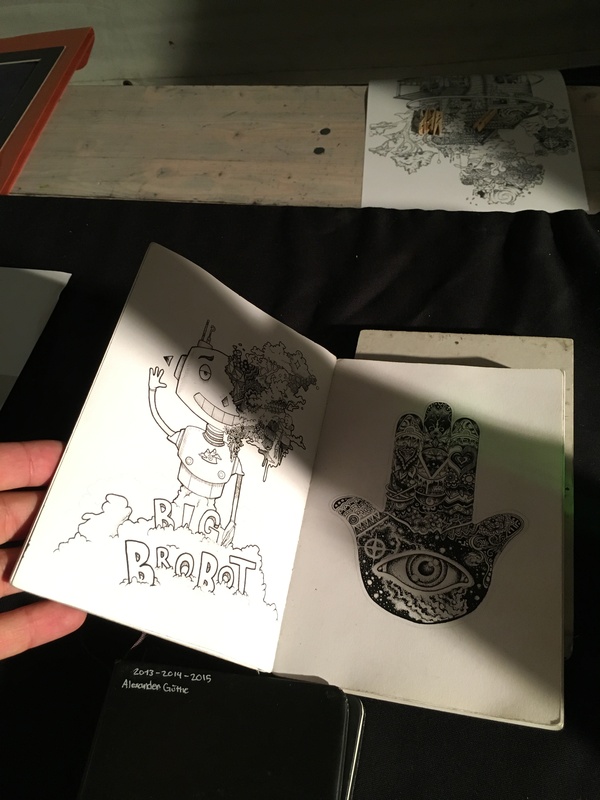 They displayed some stunning illustrations, books, and goods. 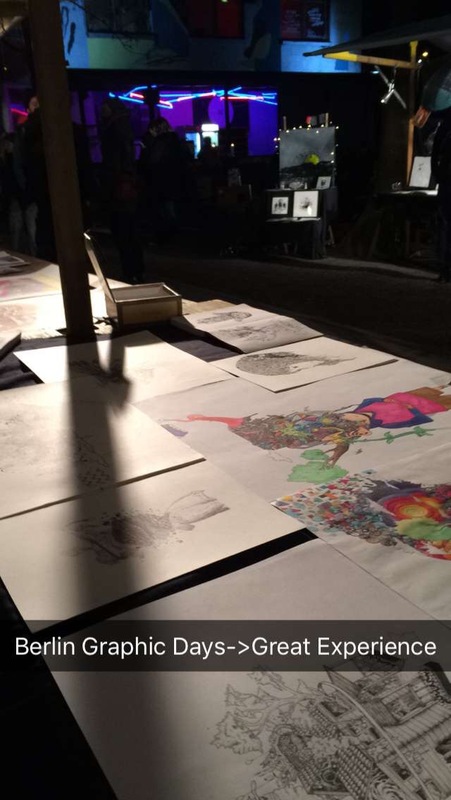 Every stand there was so unique and lively, and the artists behind them were truly amazing! Words can’t even really describe the feeling of being surrounded by so many creative minds! We are so thankful for all the support and people who took the time for our work. Hopefully, we will be back next time, better prepared with more work to display. Shout out to all of the others who participated, we hope that we get a chance to stay in touch and see each other again some day! See you guys around!